Course Aims: Total Construction Training offers a one day assessment at our Centre for experienced candidates in order to quickly gain your competent workers card. Describe the nature of the sector of industry and their role and responsibilities as a Slinger/Signaller. Name and explain the purpose of differing types of lifting equipment and lifting accessories, basic construction, uses and applications, characteristics and terminology. Confirm with Manufacturer’s requirements as per the technical data, other types of information source and the relevant regulations and legislation. Interpret and extract information on all relevant documentation. Undertake all pre-use checks on non-specialist lifting accessories and identify non- serviceable items. Explain procedures for placing non-serviceable items out-of-service. Identify centres of gravity and estimate weights of loads. Prepare and ready the area of operation. Choose the relevant lifting accessory for a given load. Explain action required for hazards, underground and overhead services. 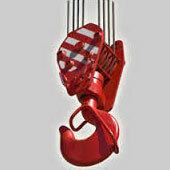 Secure various types of load to a lifting hook using the relevant lifting accessory and procedures. Ensure load balance, security and integrity. Direct and guide the movement of loads to different types of location. Arrange, use and comply with communication procedures. Course Requirement All visitors must report to reception on arrival and follow site safety rules at all times. There are no catering facilities on site, so delegates need to provide their own lunch. There are tea and coffee facilities available. Candidates must bring and wear their PPE on site for plant testing. They must also bring signature and photographic identification as required for all testing. The assessment may be recorded digitally by the tester to ensure adherence with the NVQ Standards.